Since 2005, Teledyne Marine has grown in size and scope, adding technology and capabilities through organic growth and acquisition. 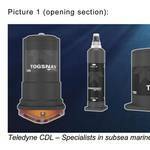 Now twenty three brands strong, Teledyne Marine is recognized as a preeminent leader in marine technology, delivering a vast spectrum of product solutions and technologies to resolve challenges in some of the most demanding scenarios and environments imaginable. Do you remember navigating with a street atlas? What a difference GPS makes. And now it seems every other new gadget includes a GPS chip for supplementary input. 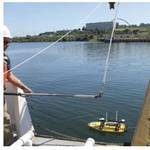 Similarly, better navigation tools optimized operations that use unmanned underwater vehicles (UUVs). Plus better navigation permitted expanded capabilities and greater cost-effectiveness. Together these advantages delivered a major gain for users of tethered and untethered UUVs. 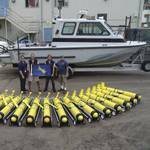 These are Remotely Operated Vehicles (ROVs) and Autonomous Underwater Vehicles (AUVs). Micro Electro-Mechanical System (MEMS) technology is at the heart of Teledyne CDL’s extensive range of motion sensors that includes a variety of specifications, accuracies and external aiding capabilities. 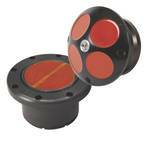 Also available is a complete range of fibre optic gyro (FOG) and ring laser gyro (RLG) gyrocompasses, built for marine vehicle navigation. This wide range of commercially available products is mainly for use in subsea marine and in particular, remotely operated vehicles (ROVs) and autonomous underwater vehicles (AUVs). CDL products are also suitable for subsea gliders, offering combined motion and navigation requirements for all subsea vehicles. 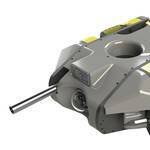 Over the last few months, VideoRay LLC has rolled out two new additions to their product line – the VideoRay Voyager, an economy ROV system, and a brand new line of customized ROV systems called the Mission Specialist Series. Autonomous, tethered, and towed vehicles are doing important work in defense and security, oceanographic research, offshore and onshore energy, and water resource markets. In fact, unmanned underwater vehicles have become an essential tool for a variety of tasks across all these markets, which is a testament to the evolution of robotics technology. Underwater unmanned vehicles are doing work that is impossible, expensive, or clearly too dangerous to humans. Ocean X Team’s main focus is to search for hidden treasures such as antique high-end alcoholic beverages and historic artifacts. They started their wreck career by finding an American B-17 bomber in 1992 off the Swedish east coast. Copenhagen Subsea A/S is a newly created company with the purpose of bringing a range of innovative products to the subsea industry. 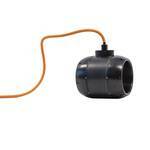 The products are based on many years of experience with building products for the demanding subsea industry. If you look closely at any U.S. coastal nautical chart, you’ll likely find that the areas closest to the shore, shoals, and rocks do not have updated depth measurements. 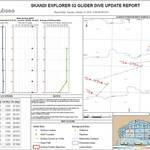 In many areas, safety concerns prohibit the use of NOAA ships or launches to survey shallow depths. In many areas, the water is too murky to be mapped with the airborne lidar systems used in clear waters. Now, however, charting those shallow areas is about to get safer, thanks to recent purchases of small, commercial off-the-shelf, unmanned survey vessels.